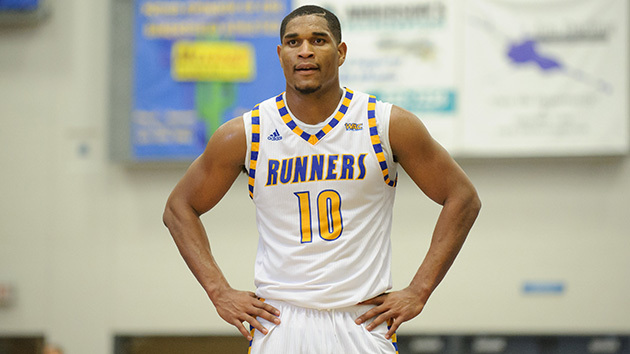 Everything you need to know about the Cal State Bakersfield Roadrunners as they begin the NCAA tournament. The Case For: The Roadrunners surprised in the WAC tournament, knocking off top-seeded New Mexico State in the championship, a team that had beaten them twice in the regular season. A former Division II powerhouse—the Roadrunners won two D-II championships in the mid-1990s, this is their first trip to the NCAA tournament. Like most small-conference teams, the Roadrunners are stacked with veterans. Leading scorers Aly Ahmed and Mays are both seniors, while starting point guard and small forward Dedrick Basile and Jaylin Airington are juniors. The Roadrunners surged to the WAC title on the back of the league’s best defense. They ranked 25th in adjusted defensive efficiency, 10th in effective field goal percentage, and 15th in defensive turnover rate. The Roadrunners held their opponents to 42.6% on two pointers, the 11th-lowest percentage in the country, and were in the top 20 in both block and steal rate. This team can absolutely play some defense, and that should travel with it to the NCAA tournament. The Case Against: Well, it starts with the fact that their defense is going to have to figure out a way to slow down Buddy Hield and the Sooners in the first round. This probably won’t come as a surprise, but the Roadrunners didn’t see anyone quite like Hield this season. Their strength of schedule was the second worst of any team in the field of 68, with only Southern playing an easier overall slate this season. To their credit, the Roadrunners mostly took care of business against their weak schedule, but they did lose four games to teams ranked outside the top 100 in RPI, two of which had RPI rankings worse than 150. They won just one game inside the top 100, and that was against a Grand Canyon team that barely earned that distinction. They lost to the best team they played, Saint Mary’s, by 35 points. This is, quite simply, not a very dangerous team. The Roadrunners can really struggle offensively. They’re not really a threat from behind the arc, and ranked 202nd in the country in effective field goal percentage. Their 65.1% free throw percentage was 324th out of 351 Division I programs. Those numbers will not strike fear into Oklahoma. SI Prediction: Lose to Oklahoma in the first round.